My name is Veronika, I am a professional artist, educator, and simply a life learner. In my teen years, it became quite clear that what I loved to do the most, was to paint and draw. I attended a Fine Art College in Russia, where I concentrated on the practice of making art under traditional methods lead by dedicated teachers who had taught classical fundamental knowledge and techniques. After moving to Vancouver in 2009 I was surprised to see that there is an absence of academic fine arts in local art institutions. So I decided to give people an alternative choice of training and share my knowledge. For over 5 years I have been teaching fine art to kids and adults in Russia and Canada. It is a real joy for me to see my students grow and develop tangible skills in different art industries. Academic training gives students strong set of skills they can apply in any area of visual arts- fine art, graphic design, animation, concept art, architectural, fashion, etc. I strive at making each lesson fun and easy to understand. 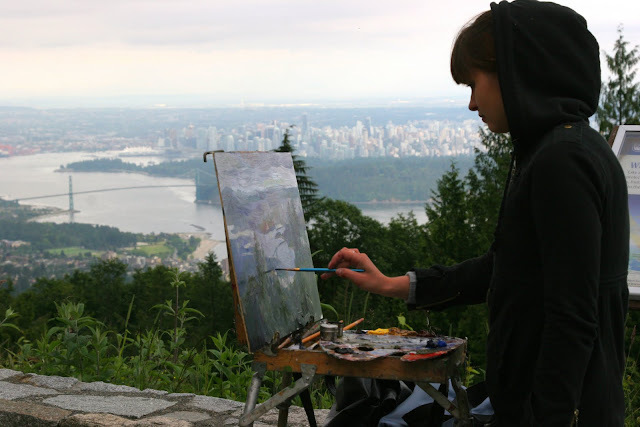 Explore art and discover the joy of learning with Vancouver Fine Art Atelier!